How does Michael Inspire Me...? I don't know where to start, I could write enough to fill the world three times over and still not feel as though I fully told people why I love Michael and how he has inspired me. So a short paragraph is going to be hard! To begin with, simply hearing his voice makes my heart skip a beat, so does seeing his angelic smile and beauitful face. I've never felt like that with anyone before. This is going to take forever to exlain. He inspires me by his beauitful singing voice and amazing dancing and he can light up a room by simply walking into it. And even though he was incredibly gifted he had humility. He's inspired me to follow my dream to become a singer. But above all that put together he put his whole heart and soul into everything he did. Michael truly cared about people and wanted to make a difference. He had a heart full of love and selflessness. The fact that he had the courage to smile and carry on loving and giving even through all the pain and hurt he went through is what inspires me the most. He really cared and hs inspired me to have a heart of love, forgiveness and compassion. He's inspired me to carry on smiling through the hard times and not to give up hope and to live for the people who love you and not to be afraid of people makng fun of you. He wasn't perfect of course, but he was the most genrous, kind-hearted, pure and innocent man I ever knew. Michael gave so much love in his lifetime and want all races to come together in peace. He still carried on loving and giving even though people had hurt him and abused his trust. He respected people and I love how he went around hospitals and orphanages between concerts visiting the children and giving them presents, and gave lots of money to charities. He's inspired me to try and help people no matter what I'm goign through inside and try to have the level of innocence and purity only present in children. Love and innocence simply shone through him. It still amazes me how people can fail to see how beautiful this man was, and still is, inside and out. He's inspired to carry on with my life, trying to live out his legacy because I tried with all his soul to help people and he really meant it, "Whatever I sing, that's what I really mean." I love you michael, with all my heart. he's inspired me to ignore all the hatred and to to fill this world with love no matter how difficult it may be. He gave us so much through his life and genuinely loved us all. He's safe and happy now, God's taken him home to experience the complete love that comes in heaven. And one day we'll be with him like this. I get all teary and smile at the same time while writing this. I bet he's smiling down on us right now, loving just as much as he did here on Earth. Michael's inspired me in so many different ways and I don't think I could ever fully tell anyone how much I love him, there just aren't enough words. Just let me say this. Last edited by MJ TinkerBell; 04-08-2012 at 11:12 PM. to bring HAPPINESS where sadness was"
Near Michael's West Coast hometown. Although I submitted my essay awhile ago, I'll post something here. Michael inspires me every day to open my heart and soul to the possibilities we can create in our lives and for the world. Michael inspires me to spread love into the world; as he stated in This Is It, put some LOVE back into the world. Michael inspires me to do my best at everything I do. Michael inspires me to see the light in everyone. Michael inspires me to forgive and to hope. Michael inspires me to be compassionate and aware. He inspires me to feel joy and peace. Michael inspires me to wonder and create. Michael inspires me to understand that we are all connected and have the ability to make that change. Michael inspires me to be in my truth. Thank you Michael. Help carry on Michael's mission to save our planet ...plant a tree!! Twitter: http://twitter.com/windy09ForPeace How will you change the world today? perseverance, and talent. I just love Michael so much. I'm very extremely sadden that I never got a chance to meet Michael. My dream as a child was to meet Michael and go to Disneyland and just become his friend. MJ was my idol and still is. There will never ever be a another Michael Jackson, there will never be a person with MJ's understanding, love, and talent. Michael I will forever love you, and my love for you will never part. The Man In The Mirror Inspired Me To Volunteer..
After a small battle with myself, and I’ll admit, after watching a video clip of Michael Jackson’s “Man in the Mirror”—a song about how one person can make a difference—I decided that this was my opportunity to make a change. I am a sucker for MJ and I felt a rush of empowerment when I remembered the song’s message. So I took a look at myself and made a change. We weren’t sure what to expect when we arrived, but we all went in ready to serve. The coordinator had some of us put together 300 shopping bags while others unloaded the truck, tossing heavy boxes down the line yelling “Beefarroni, Macaroni!” We all got a kick out of that. I loved watching my co-workers smiling while helping others and going the extra mile, literally. Jon disappeared a few times to walk people to their cars—blocks away—in the rain. We joked that he probably went to a few houses to make soup. Kara was helping people reorganize bags to make them easier to carry—and sharing tips for how to prepare squash. Marcus found the most efficient way to break down boxes and Libby looked like she was going to need about 10 hours of yoga to recover from potato duty. As the event unfolded I felt a sense of love for my co-workers, admiration for the organizers and hope for the strangers who collected their food. When the people came to get their bag of food, around 150 people in all, I heard “bless you” and “thank you” over and over. But, I thank them for putting me in-check with myself. It was an honor to give myself to them all; to pick up heavy boxes and load people up with fresh produce. Everyone set aside their personal needs and comforts and completely devoted themselves to total strangers for five hours on a Saturday. It was a wonderful expression of gratitude, love, and community and the most fulfilling thing I have seen and done all year. There is no other activity that I could have come up with that would have made that Saturday any better. Live, be and do what you want to see in the world. Take a look in the mirror and start with you. I have set a goal for myself to volunteer at least four times in 2012—and I’m hoping I can inspire my co-workers to join me again. So, are you ready to set your goal for 2012? How many hours will you give? If you’re not sure where to start, look around your community or get online. There are numerous ways to donate your time—and giving benefits you as well! Last edited by MJ TinkerBell; 23-08-2012 at 04:44 AM. To celebrate the birthday of late Michael Jackson, Pepsi and Twitter will be live-streaming on Wednesday night a tribute concert from New York City. Starting at 8:45 p.m. ET, fans who visit Pepsi’s branded Twitter page or Pepsi.com/CelebrateBad25 will be able to watch live performances by Canadian singer Melanie Fiona and R&B singer-songwriter Ne-Yo. The event is part of a Pepsi’s “Live for Now” global ad campaign, which has featured other livestreamed concerts in the past. Earlier this month, the web was privvy to a stream of hip-hop star Nicki Minaj’s concert also in New York City and even had their tweets showcased on a digital billboard in New York City’s Times Square. Pepsi is encouraging fans to use the hashtag #MJBirthdayShow for tweets related to the show. Neyo told Mashable he is honored to pay tribute to one of his biggest musical influences. Meanwhile, Grammy-nominated R&B singer Fiona, who said she will be performing “Bad” and “Dirty Diana,” said she is gearing up to “embody my inner MJ” tonight. “I’m truly honored to be a part of this celebration,” she added. Michael Jackson, who died in 2009, would have been 54 today. Brian Anthony Hernandez contributed to this report. Last edited by MJ TinkerBell; 14-09-2012 at 05:40 AM. The ‘meditation’ had as purpose to find out what your soul ‘intends’ to do here. Is it to forgive someone or is it just to enjoy the grass under your feet? “I don’t really know what to ask, Michael?” I began the convo. Last edited by MJ TinkerBell; 07-12-2012 at 11:29 AM. I often get that remark of... WHY are you looking for a job? What am I supposed to do when dusk settles in... Watch numbing programs on Tele? How MJ Inspired Me to Dance..
"Consciousness expresses itself through creation. This world we live in is the dance of the creator. Dancers come and go in the twinkling of an eye, but the dance lives on. On many an occasion when I am dancing, I've felt touched by something sacred. In those moments, I've felt my spirit soar and become one with everything that exists. I become the stars and the moon. I become the lover and the beloved. I become the victor and the vanquished. I become the master and the slave. I become the singer and the song. I become the knower and the known. I keep on dancing and then, it is the eternal dance of creation. The creator and creation merge into one wholeness of Joy. I keep on dancing and dancing.......and dancing, until there is only......the dance." The first time I read those words, I thought, "WOW". How did he know exactly how I feel when I dance? I had always felt this way, but never realized what those feelings were until I read Michael's words in Dancing The Dream. It gave me chills. Then I remembered, MJ HAD BEEN THE ONE WHO INSPIRED ME TO DANCE! I have been thinking about writing on this subject for a long time. I needed a little more motivation and a few weeks ago, I got just that! Before I begin I would like to thank a girl named Kelly for opening my mind to let these words flow out. It was around 1977, I was ten years old and in the fifth grade. I grew up in an extremely small town with only a school, post office, a humble family-owned grocery store, and many, many churches, but as time passed, as with all "small towns", it has expanded and now has a hair salon, a cake shop, a Subway, a Dollar General, and even a Family Dollar store! The school has been renovated to a modern elementary school, and more people have moved into the area. At my little elementary school, which was Kindergarten through Eighth grades, we had most of the same extracurricular activities of a city school, such as Football, Cheerleading, Basketball, Softball, and Track. That now seems like a small list of activities compared to what is available to students today. We definitely did not have a "Dance Team", and so Cheerleading was the most similar activity to Dancing that I would be allowed to try out for in those early years. You see, at the age of ten, my Mama decided that I WOULD play Piano, but I wanted to be a Cheerleader and play Basketball! So my Mama bought an old Piano and my Daddy bought a regulation Basketball goal. The piano went into the front room of our home, which was sort of a sitting room with the front door leading to the outside, but was enclosed from the rest of the home, and my father, of course, set up the goal about 25 feet from the front door in the yard of our Country home. So, as my Mother sent me to Piano lessons, which I just hated, I also tried out for the Basketball and Cheerleading teams at school and made both teams! I was a good Basketball player, but I was a great cheerleader! In 1977 Cheerleading wasn't like it is today, and I wish it were, but it just was not. For me, it was an outlet to express myself. I always felt the need to express myself in a monumental way, so I threw myself into Cheerleading as well as Gymnastics, which was outside of school activities. I just didn't feel the emotion, release, or escape when trying to play that piano. Now, I know you may be thinking, "But playing Piano is in unison with music, singing and dance..", but for me, at the time, it was not. Movement is how I wanted to express myself. I wanted to MOVE! Not sit on a wooden bench and push keys with my fingers! I just couldn't put the two concepts together and Cheerleading, Basketball and Gymnastics allowed me to MOVE! Adjacent to the "piano room" in our home was a car-port, which my mother had my father turn into an enclosed room, she called the sun-room. This sun-room is where I would begin my journey into loving music and dancing. As I took those awful piano lessons, realizing I did not have the gift of playing music, but was excelling in Basketball and Cheerleading, I would sneak out of that "piano room" and practice Basketball and Cheerleading and my mother never knew, because the door from the inside of the home into the piano room was always closed. As I think back on it all today, maybe she did know and was allowing me do what she realized I felt more passion for in my soul. I don't remember exactly what year it was, but around the same time as 1977-1978 I began listening to American Top 40 Co-Created and hosted by Casey Kasem every Saturday morning for three hours, on a small radio that my Daddy had bought for me, in that little sun-room. I will never forget the words Casey Kasem would announce at the end of the show "Keep your feet on the ground and keep reaching for the stars!". Words, that later in my life, would become part of my obsession; an obsession which is that I DO HAVE A DREAM. Most of the music I had heard up until this time was either a mix of Country music, such as Johnny Cash, Conway Twitty, Waylon Jennings and Dolly Parton, or Gospel music, such as the Oak Ridge Boys and many different Gospel family quartets or singing groups, all on 8-Track Tapes in our car. I had to listen to those 8-track tapes over and over again on long vacations we would take as soon as school let out for summer break. Just the three of us, loading into the car and off we went, either visiting national parks, various theme parks or visiting my older siblings in other states. Soon, my Mama realized I would not be the next Mozart or Chopin and reluctantly allowed me to quit Piano lessons and focus on any extracurricular activity throughout my school years that would indulge that feeling of movement that was rooted deep in my soul. Where it ALL began for MICHAEL and for ME! I am adopted. I am unlike anyone in my adopted family...The "Black Sheep" as they say. Don't get me wrong, I love my family and would not have it any other way, but I come from a very religious family. I was taught at a young age that DANCING AND LISTENING TO MUSIC other than church music was "A SIN"...WHAT? A SIN? How could something that made me feel so fulfilled in my soul, be a sin? And why was it that my Daddy's favorite music was NOT a Sin, but anything else was? This fact has always baffled me and still does to this day. As far back as I can remember, I LOVED listening and dancing to that music, on that little radio, in that sun-room every Saturday morning. I guess I was around 12 years old when my very religious, very strict parents allowed me to go skating at a small skating rink, just one town over...Maybe 5 miles away. It was at this skating rink when I first heard Michael.Jackson and the J5...DANCING MACHINE! Now, I had heard early J5 songs and would always move to their beats, when no one was looking, but when I was at that skating rink, no parents, no family around...I just lost myself in that song! I begged to go skating every Friday night and they let me! Well, most of the time, and I would hear 'Rock With You', 'Don't Stop til you Get Enough', and 'Off The Wall'. I thought I was in LOVE...Who was this singer?! since I lived in a small town, we could only receive three TV channels. ABC, NBC, and CBS...I was never allowed to watch the J5 on CBS, because, remember, that kind of dancing and music was a "SIN"! But one FATEFUL night, CBS presented MOTOWN 25 and MJ was on there and did his OWN thing, without the brothers...Billie Jean...I was mesmerized. I had chills all over my body when I saw Michael perform all alone on that stage. My mama knew. She saw the look on my face. As soon as THRILLER came out, I was standing in line to buy it. She was with me. I wore out my cassette tape and had to buy another one. I had the album too. Michael's music was in my heart. Michael's music was in my soul and it would never leave. I dance today and I dance well. I dance because MJ inspired me to dance and I will forever remember that it was Michael Jackson that gave me that inspiration, through his music, his performances and through his music videos, that I sometimes had to sneak to watch at my friends houses....We didn't get MTV until probably the 2000's, in the home I grew up in, so I could only watch it when at friends or my sister's homes. After, Motown 25, I joined every extra-curricular activity I could that afforded me the chance to dance; all the way through high school and beyond. 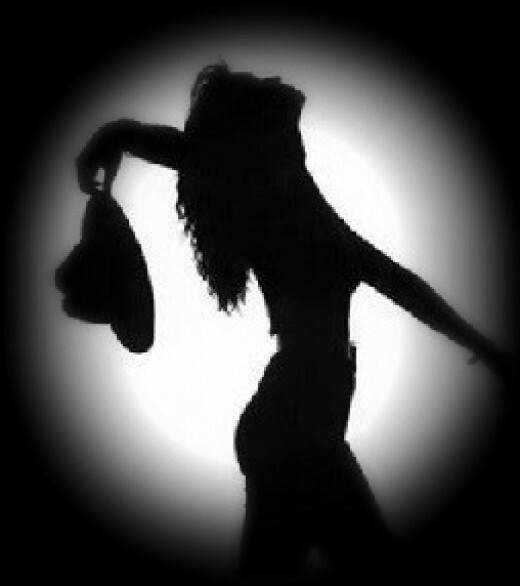 I am 42 years old and every Saturday night my husband and I go to a club where a DJ plays and I dance all night long...I dance for the feeling I get deep in my soul and I dance....... for MJ. 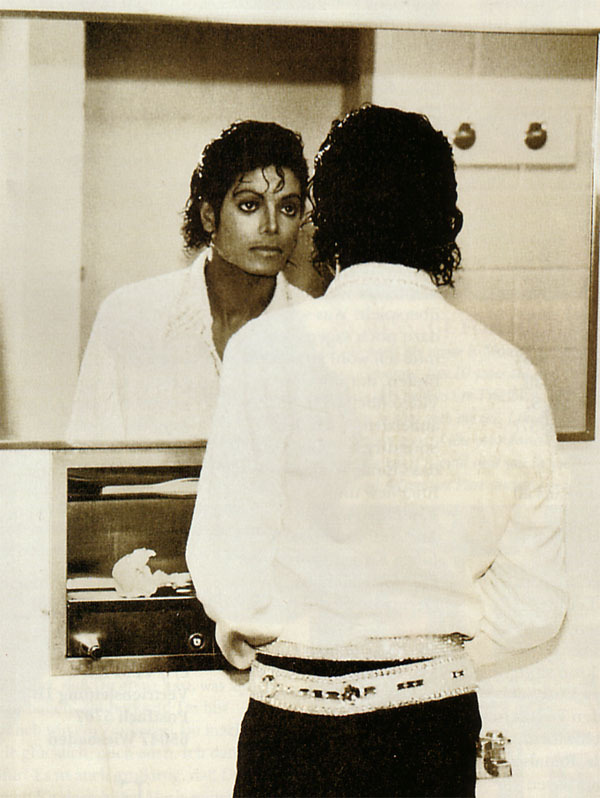 "I Said if your thinkin' of being my brother it don't matter if your Black or White!" I PUBLISH THIS ARTICLE ON THE 9 MONTH ANNIVERSARY OF THE LOSS OF OUR KING.. THE GREATEST ENTERTAINER TO EVER LIVE!